To me, Zelda is not a video-game franchise. Zelda was one of the best band to emerge from the Tokyo punk scene of the late 70's. The band formed in 1979 after the members discovered punk and new-wave through the 'Blow Up Tokyo Rockers' shows at the S-Ken Studio (the early epicenter of japanese punk). 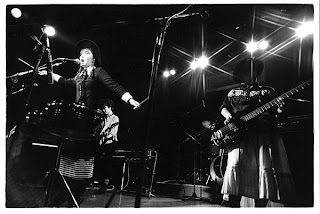 They were close to the band Lizard and its leader Momoyo who produced the first EP released in 1980 on Junk Connection. The band showed a big potential from early on and even with only female members around 15-16 years old (this was quite a novelty at the time) a major company quickly signed them. 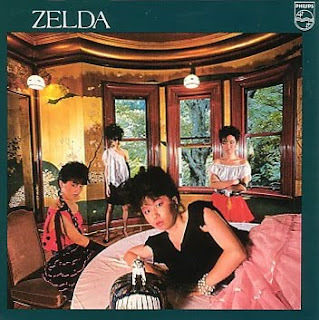 Zelda became one of the most successful band of the 'indie boom' of the 80's. You can tell by listening to their first two records that their music is rooted in punk and new-wave. But despite the young age of the members, it's far from being a plain worship of the Tokyo Rockers sound. The general feeling is brighter and every song benefits from a strong melodic pop sense ('Mirage Lover' from their 1982 album makes a great single). What makes the Zelda sound coherent is Sayoko's vocals. She may be the best singer of the japanese new-wave, able to cover a wide range of emotions. She also gives the diaphanous and dreamy edge which makes Zelda a perfect listen to escape reality. First track seems to be corrupted. A re-up possible? Thanks so much for sharing them, I was searching some of their stuff since I listened to Ashu-Lah from the ROCK is LOFT compilation months ago! And wow, didn't know about the connection with Jun Togawa. Surely I'll start to check this blog from now on. Where did you get these pictures (except the first one and the 2 cover arts)? Are they scans? Yes, these are scans from the book 'Street Kingdom' by Yuichi Jibiki. Thanks! 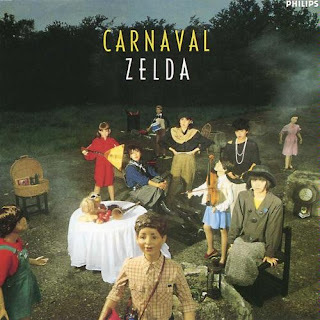 But the first track of CARNAVAL is corrupt; could you possibly re-upload the album, or re-upload the track separately? is Nav Katze new wave? can you please re upload?